Arguably, one approach to the short story is to take ordinary people and show extraordinary events happening to them – after all, we don’t want to read stories of ordinary people doing ordinary things. 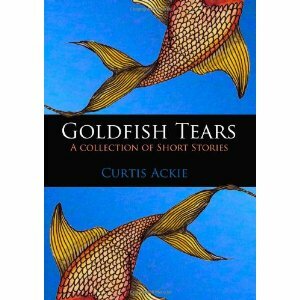 In Curtis Ackie’s Goldfish Tears, nearly all of the characters are extraordinary to start with, ensuring that his tales start with a high interest factor and go on from there. It’s a good technique. Many of Ackie’s characters are afflicted in some way. The everyday fears and paranoias that people harbour under the surface are brought to the fore of their lives, and given an external force that can be resisted, but, often, not overcome. If this sounds as if Ackie has a fatalistic approach to the trials of existence, it may be true. And yet there is an overall cheerfulness in his writing that mostly lifts what would otherwise be rather downbeat stories. Karin, the character in the opening tale, ‘Ordeal by Water’, is fixed to her armchair by an unknown force, as water rises around her. Her thoughts range from the dramatic – she may be immobilised against her will – to the mundane – a worry that the water will stain the walls, but at least this shows the optimistic belief that she will survive the ordeal. Her thoughts are assaulted by older fears, of the dark, of spiders, of school bullies, and she also focuses on both tender and damaging moments with an ex. 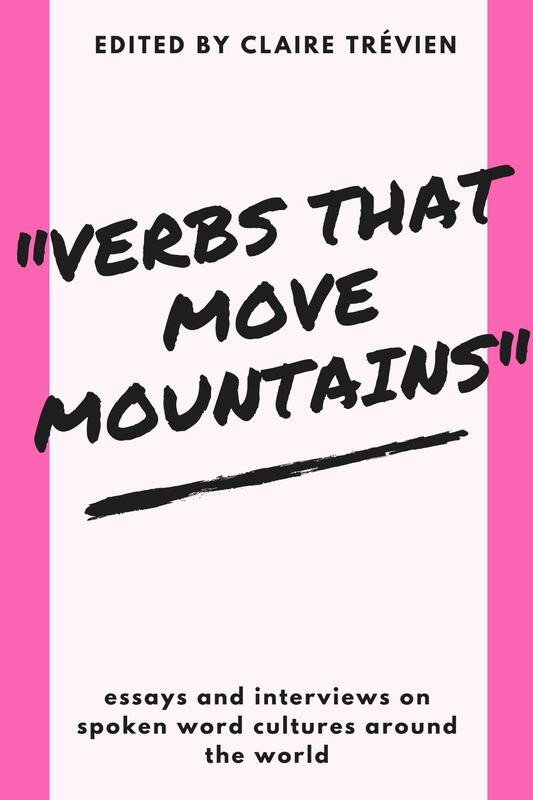 The author gives these pointers to pinpoint the internal damage. We aren’t told where the water comes from, and, if you buy into Ackie’s creations, it doesn’t matter. You could decide it’s a metaphor for tears, but, again, it doesn’t matter: the stories demand that you accept the here and now of them. I hesitate to use the words ‘magic realism’ to describe these stories. I think ‘absurdist’ is a better term. Both need to be done well to avoid looking like parody. Ackie is mostly successful in this, though I think some of the scenes in the last story, ‘Carnival Evening’, go a little too far in depicting people acting out everyday expressions: instead of dancing, a dancer cuts a rug with scissors, while a drinker, rather than drink, pours his beer onto a whistle to wet it – you get the idea; it’s absurd and funny, but makes a small point about language rather than serving the story. Luckily, the story is strong enough to carry itself, that of another ostensibly powerless woman assaulted in her own home by outside forces; the assaults in this case may come from dreams, but – again, if you accept the writer’s scheme – have a more immediate, frightening reality. Both ‘The Bath of Mary’ and ‘Birthmark Like a Scar’ deal with attitudes to disability. The latter is a rant, a bigot’s efforts to get others to share his distaste for disabled people. It may have the people of the former Yugoslavia in its sights (the writer lives in Zagreb, Croatia) but you could substitute the birthmark for almost any attribute and see the story as a comment on prejudice. It works as a story because of the imagery, the language, and the latent sense of comeback on the narrator: ”Whatever I was doing the collection of collapsed angles that made up her face would pop up to spook me.” ‘The Bath of Mary’ looks at disability from a different angle: Henrietta prevails upon her wacky scientist husband to invent something to reverse her disability – the science is highly questionable, which I love. Again, you just go with it if the story’s done well. Ackie is, in some small way, trying to address disabled people’s views of their own disabilities. The uncertainty of my whereabouts wouldn’t bother me half as much if I knew who I was. What I find most distressing is this vague sense that something is wrong, and for that to be true everything must at one point have been quite the opposite. This is another tale featuring the inability to move, and to talk, and revealing a formless, irresistible antagonist. It then takes shape as a recognisable monster, who finally leaves the narrator alone; it seems that his lingering ‘sense that something is wrong’ is an even worse fate. Another signifier of internal damage is personified in Sragnàc, the protagonist in ‘Shadowplay’, who wonders if it is ”at all normal for (hallucinations) to occur spontaneously in the sane”. Sragnàc’s independently-minded shadow seeks to embarrass him socially and at work – though Sragnàc is too vain and self-sufficient ever to be truly embarrassed – in a tale full of literary and cultural references. He finally faces the choice of whether to keep fighting it or to give in to it. Is the shadow supposed to be his conscience? Possibly, and that can serve as a satisfying answer, but, as in most of the other tales here, the literal answer is irrelevant. My favourite story was ‘Oh, Blue Hag’. Egon admires his twin sister Eugenie so much that he seeks to become her, using invasive, conscience-free dishonesty and subterfuge. It is a story that goes beyond the ostensibly comic to the tragedy of his longing, his self-hatred and his selfishness. A wish-fulfilment fantasy, as in ‘The Bath of Mary’, the story seems to reach a conclusion that both satisfied me as a reader and still leaves me wondering what else might happen. Curtis Ackie tells modern fairy tales, messing with our ordinary perceptions and knowledge to do so. Most of the stories are illustrated expertly by Lorena Matić in a style that wouldn’t be out of place in a children’s book; while not absolutely essential in a book of short stories, they add to the unreal atmosphere of what is a very assured and entertaining collection of stories.